What happens when you search your organization’s name in a search engine? How about when you search the types of services or products you offer? In a perfect world, your business’ website would be the first result, followed by your company's social media pages and maybe even a relevant blog post or two. At the very least, you would like to see your website listed within the first page of search results. So, what page does your website fall on? A website is meant to be seen, so if you’re finding that your business’ site isn’t quite living up to the online visibility everyone had imagined, it’s time for some adjustments. Hey, Over Here! Pay Attention! Basically, online visibility is the relative position or ranking of your website within the list of organic search engine results. However, establishing good online visibility is not as simple as creating a website and publishing it. 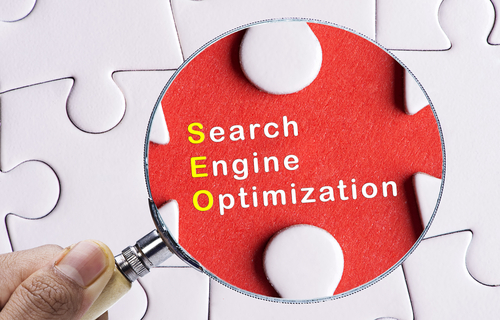 It involves some understanding of search engine algorithms and a bit of promotion through several different channels. This can be tricky because there are so many factors that influence how your website appears in organic search results. For starters, there are several different search engine companies. Often times Google is prioritized because of its large user base, but that does not mean that search engines such as Bing and Yahoo! should be ignored. Not to mention the different platforms within these companies as well; did you know that the images on your website are indexed differently than your site pages? It can be super easy to get wrapped up in the do’s and don’ts of search engine optimization, but here’s another fun twist: the requirements for ranking well in these search engines is not made public knowledge. In order for search engines to remain competitive and not be overrun by over-optimized junk, companies like Google and Yelp, are constantly developing and evolving their algorithms in secret, meaning figuring out what works and what doesn’t can feel like a game of cat and mouse. But we do have some good news…it is possible for a cat to catch a mouse, some are just better at it than others. This blog post is going to cover some tips to help you optimize your page, take advantage of effectively promoting your site and increase organic rankings as a result; or in other words: catch a mouse! A search engine does not think, it does not admire your pretty graphics, it does not understand a confusing layout. Instead, search engines scan for keywords, they look for internal links and backlinks and rank your popularity based on what other internet users think are important (among many other ranking factors). Though your overall domain authority is important, search engines don’t rank entire sites; instead, they rank each page individually making it super important to have every page optimized and linked appropriately. More pages may lead to a higher ranking because there is more to rank, but if they aren’t organized and do not contain unique, relevant content on each page, the quantity isn’t going to help you. Instead, a confusing structure will only confuse search engine spiders, and may prevent pages from being indexed. Make sure that you've fully fleshed out your site's navigation so that your site is "crawlable." You'll want to make sure that each page can be found from a link on another page so that it's like a constant string. A search engine will land on one page such as a blog post, but then it will continue to scan the pages linked from that blog post as well. From this next page, the process will continue. If you have a page that isn't linked, it may not be found through this crawling methodology. And when it comes to keywords, the placement is more important than the amount. A strategic use of keywords involves targeting important page elements such as the title tag, header tags, the meta description, image alt tags and even bolded text. If your keyword strategy still relies heavily on density, it's likely that you will be penalized. How Can you Increase your Online Visibility? An up-to-date blog will help to drive traffic and increase your page numbers. Additionally, sharing your content and posting regularly to social media can really drive traffic to your website and increase your authority. Together, these methods will help to grow your audience base and improve search rankings. Think about it this way; if you are anything like us, when it’s time to look up information like a business’ hours or a contact number, your first stop is likely a search engine. The rise of smart phones makes it more convenient than ever to access the internet from almost anywhere, which makes your online visibility more important than ever. Most people don’t search past the first page of results so spending some time optimizing your site is essential to maintaining good online visibility and attracting new leads via organic searches. Have you found some interesting do’s and don’ts for increasing your site’s organic traffic? If you’re ready to share your secrets, comment below!